※ The floor plan is subject to changes according to the conditions. 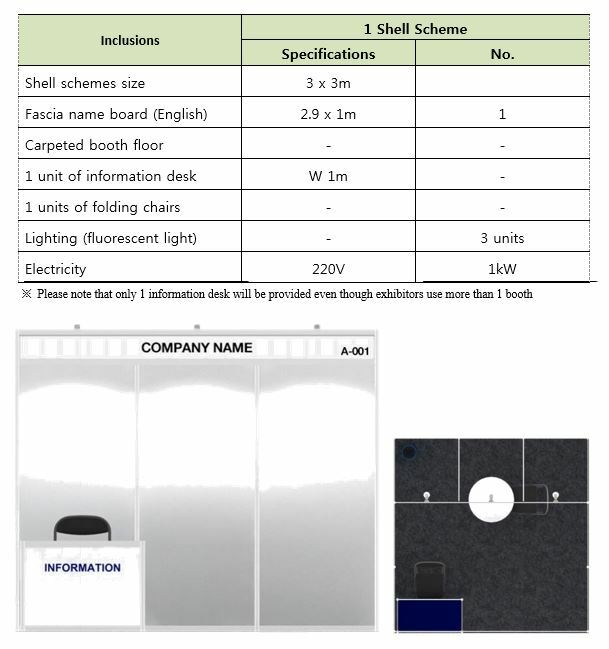 Each booth will be equipped with the following basic inclusions. 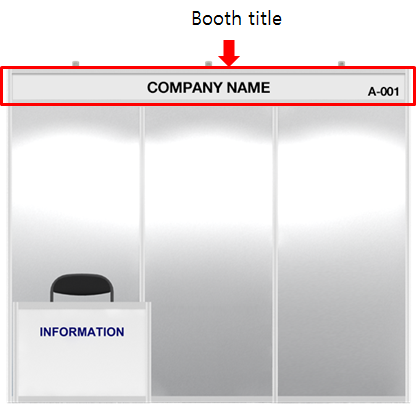 Booth dimensions are also provided in the table below. – Use short sentences and avoid long dense text. – Include references only if essential. The posters will be displayed throughout the week on panels along the corridor outside of the Grand Ballroom. Double sided tape will be provided at the venue for putting up the posters. Exhibitors are requested to put up their posters during the week of the event and be removed on Friday, 12 April, 15:30. The posters remaining after 16:00 will be discarded. All exhibitors should prepare and print the hard copy of their posters. Download PDF copy of the information note for exhibitors.